There is a solution if you want to share your blogger blog post automatically to Twitter and Facebook and below are the steps on how can you do that. Remember this can help you get huge traffic as your blog will be linked to Twitter and Facebook. 1) For this, you need to create a feed by using feed burner of google. 2) After you create a feed go to google feed burner.com, select your feed and click publicize option. 3) After you click publicize option there is an option below on the left of socializing click there and there is an option add twitter account so just link it with your twitter account this will complete your sharing on twitter. So whenever you post something on your blog feed burner will share it with Twitter set hashtags you want in your feed burner socialize option. 4) Now sharing on Facebook through a twitter account. 5) Log in to your twitter and go to setting and click apps, there you will find an option where they will tell you to connect it with Facebook. 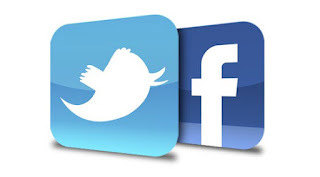 6) Connect that with Facebook and select there on what page or profile you want to share what you have shared on Twitter. 7) So now when you blog feed burner will be sent to twitter and twitter will send to Facebook page or profile. So this will now help you to not share each and everything differently on Facebook and Twitter. And now if suppose you have other social account say Google+ or linked in or whatever may be just kept linking each other and so all the links will get shared from one to another feed burner to Twitter to Facebook to Google+ to link into etc.